In February, 2014 VINTERREJSE (Winter journey) premiered at Aalborg Theatre in Aalborg, Denmark. The text is written by the Austrian Nobel Prize Winner in Literature Elfriede Jelinek. With it’s own and very humorous style, the text deals with different topics such as the financial crisis, kidnapping of infants and the life with a father with advancing Alzheimer. The musical composition is inspired by Franz Schubert’s songs and on stage is bass baritone Jakob Bloch and the actress Solbjørg Højfeldt with actors Andreas Jebro and Jakob Hannibal from Aalborg theater's ensemble. As instructor and set designer, Jacob Schokking has created one of the clearest and most unified performances I have ever seen from him. Not only are the image projections he surrounds the unmanageable text with a sensitive and captivating intensification of the words, at the same time, they are integrated with the musical auspices that composer Gert Sørensen has created around the sequence. "Jacob F. Schokking’s moveable scene is built up around two conveyor belts and a flexible backdrop, and his direction shows an intensive preparation of the manuscript with a great degree of delicacy and shrewdness. Here, nothing is unnecessary (…). The evening offers one and a half hours of a dazzling feat of strength from the actress, Solbjørg Højfeldt. It’s not conversation, but rather good, deep, real art. She creates a complete, strong, and distinctively effective figure, characterised by an existential pain that moves the audience immediately”. (Jens Henneberg, brought in Nordjydske on February 28).
" The texts of Nobel Prize winner, Elfriede Jelinek, are not easily comprehended. Long streams of words in which the simple meaning of words is gauged and explored, but always wisely executed, and not without a certain warmth. (…) The extremely intelligent actress, Solbjørg Højfeldt, seems to have deciphered some secrets of the text that an ordinary reading hardly would have uncovered (…). The collaboration focuses on the presentation and dissemination of a complicated text, and that in it self is quite remarkable. "You cannot bridle Jelinek’s ‘Winter Journey’ in one viewing. It’s interesting, and beautifully staged by Jacob F. Schokking from Holland House. It’s a pleasure to experience Jacob Bloch Jespersen’s singing merge so convincing with the text and the mood of the play. With its strained relationship with the speed of time and slightly bitter ironizing of the present, it most likely appeals to an audience with a certain age and experience. But I guess there are quite a few of us left? 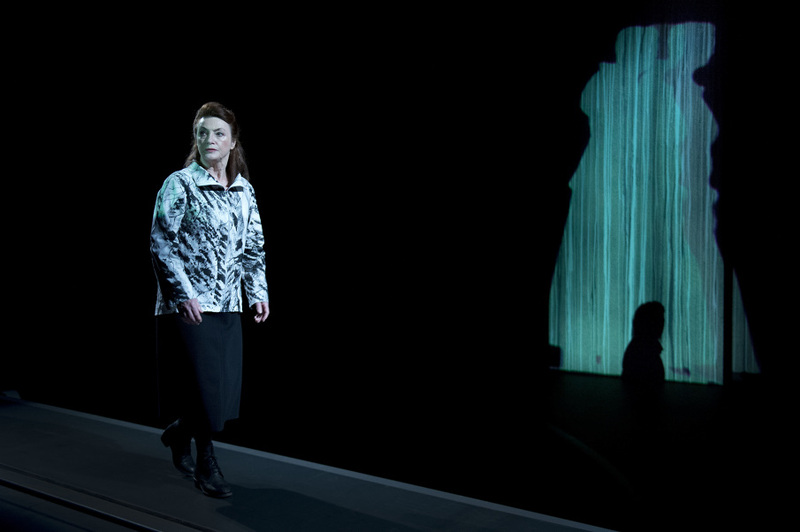 Solbjørg Højfeldt is fascinating as the woman in Aalborg Theatre’s fusion of text, images, and German lied”. 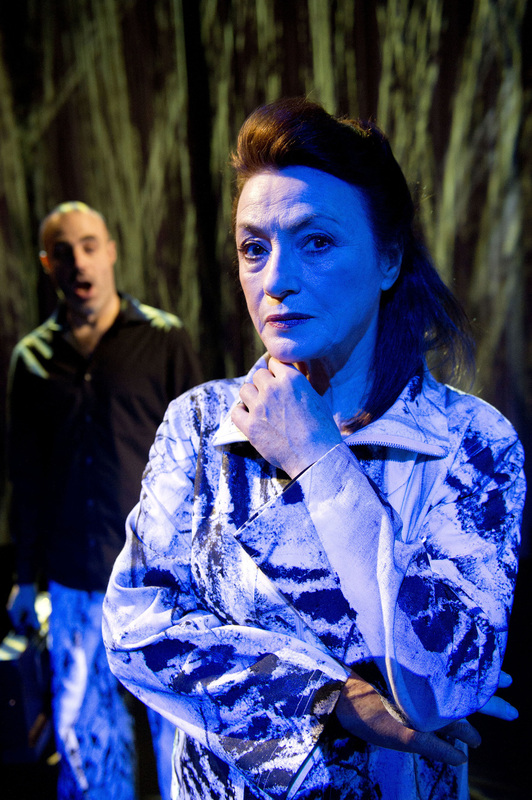 Holland House explores the tension between intimacy and absence in Elfriede Jelinek’s Vinterrejse (Winter Journey). 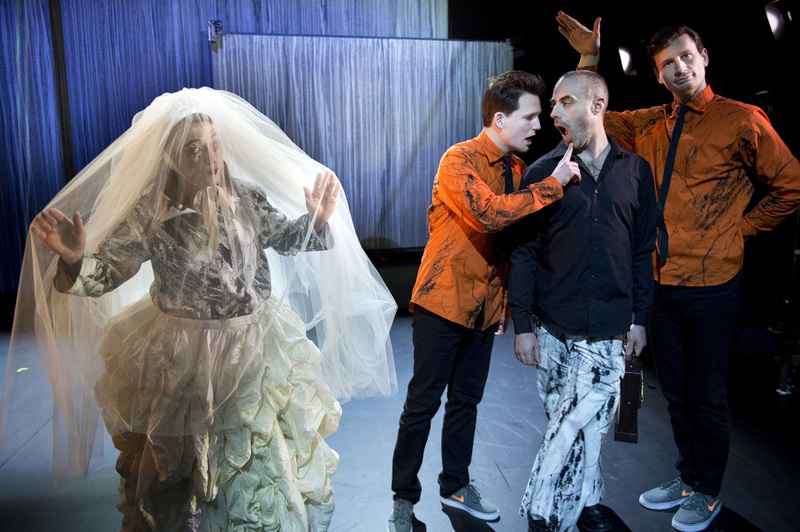 Jelinek's acrid linguistic imagery has inspired the director and scenographer, Jacob F. Schokking from Holland House, in this successful and thought-provoking performance at Aalborg Theatre. This is where Schokking allowes actress Solbjørg Højfelt to maneuver into the land of Jelinek, so that as a member of the audience, you feel her transmigrational need. Also, the granting of a sense of conversance with the dismissive landscape that passes along on large video projections behind her rolling sidewalks that lead to everywhere and nowhere is what signifies Winter Journey's great, yet hushed sensory accomplishment: Love that descends as an overlooked possibility for the forgotten, European person. Just as singingly silent as snow. The play is a co-production between Holland House and Aalborg Theatre.